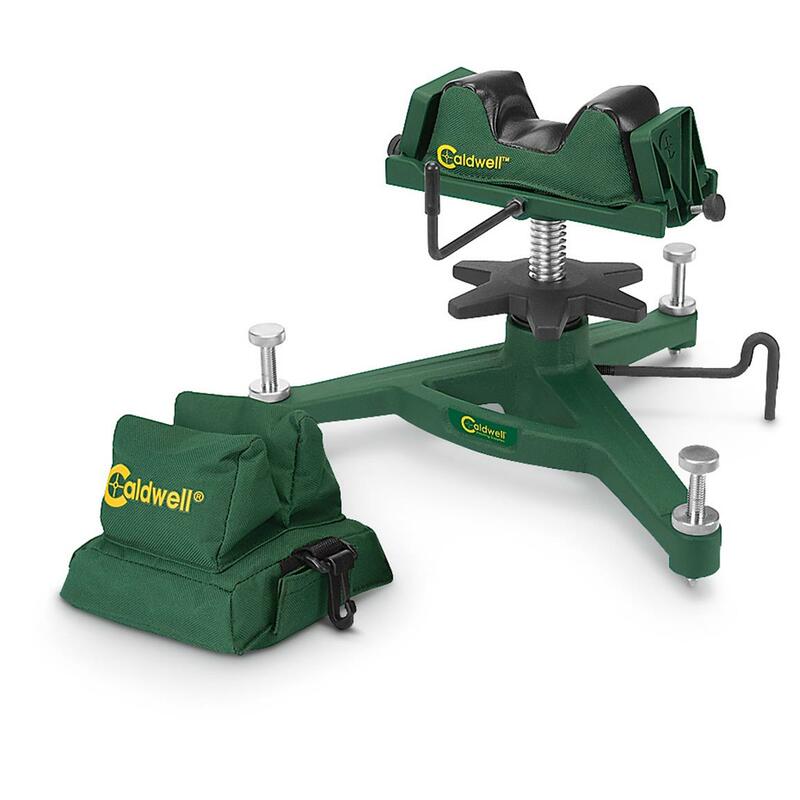 Caldwell® Rock Deluxe Shooting Rest / Rear Bag. Get quick height adjustments from 4 1/2" to 7 1/4"
Caldwell Rock Deluxe Shooting Rest is rated 4.8 out of 5 by 6. Rated 5 out of 5 by John2 from Rock Solid shooting rest When it came time to bore scope and then site in a couple of new scopes this rest was easy to use and adjust. If there is one small complaint it is that it is built too heavy and sturdy. It will last a lifetime. Rated 5 out of 5 by I have no nickname from Great Product Well made. solid and very stationary. Well worth the price. Perfect gun position, minimized movement, solid stability…this is your best shot! 31"l. x 7.5"w., approx. 11 lbs.